Open communication and the right education for customers is key to the successful deployment of a host card emulation (HCE) based mobile payment service in a country where new banks — with their simple products and new communication style — are becoming more attractive to the younger generation, says Czech bank CSOB’s innovation manager. 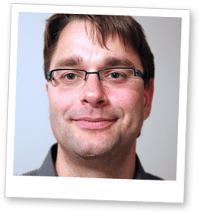 The continuous testing and the gradual addition of new features helped the bank to deliver a mobile wallet designed not only for payments but for the entire shopping experience, Jan Nezbeda tells readers in an in-depth paper now available to download from the NFC World Knowledge Centre. 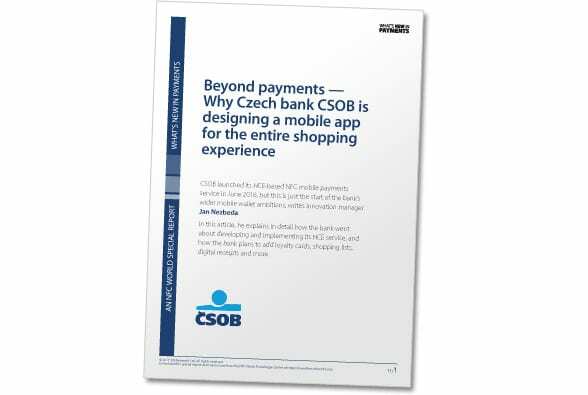 ‘Beyond payments — Why Czech bank CSOB is designing a mobile app for the entire shopping experience’ provides insight into the journey the bank took in developing and launching its CSOB NaNákupy service, including why it decided to launch a standalone mobile app rather than integrating payments into its mobile banking app as well as the reasoning behind choosing its own tokenization platform. Nezbeda also shares insight into how the bank plans to build on the service by adding loyalty cards, shopping lists, digital receipts and more. “We value HCE as it allows us to have the user experience fully under our control and, especially, allows us to quickly and easily design the service,” Nezbeda says. “We had already had experience with an NFC payments pilot with T-Mobile, in which we confirmed that there was a demand for in-store mobile payments but also discovered there were significant limitations of a SIM-centric solution. Readers can download Nezbeda’s eight-page paper, which provides a wealth of insight into how the bank developed its HCE service including the challenges it faced in doing so, free of charge from the NFC World Knowledge Centre. Mobile, cardless, contactless, ( credit card account) numberless. However we get there.